Through Its Digital Menu Solutions, eTouchMenu Is Reinventing The Dining And Shopping Experience. eTouchMenu is a pioneer in digital menu technology, transforming traditional paper menus into immersive digital menu experiences by merchandizing the menu. Our solutions are deployed in leading restaurants, airports, hotels, retail stores, family entertainment operations and casinos. eTouchMenu gives you the tools to turn order-taking and point-of-sales transactions into new opportunities for building customer loyalty and heightening brand engagement. 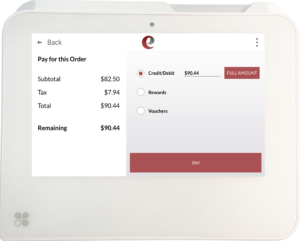 eTouchMenu provides more agnostic options for brands to select the right combination of equipment, integrations, and payment flexibility than any other digital menu technology company in the market. A simple, intuitive guest facing digital menu platform for full-service restaurants. 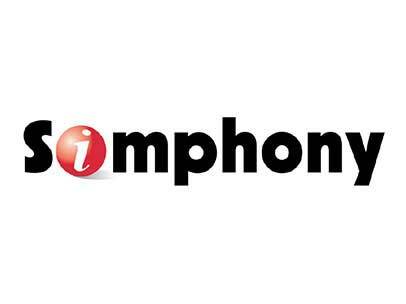 POS-integrated digital payments enables guests to view and pay bills securely at the table. 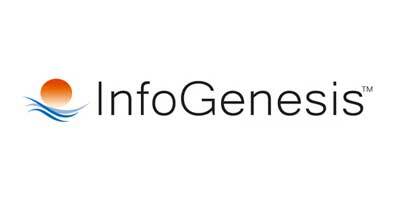 A digital menu platform that enables guests to order and pay from kiosks and have food delivered to tables or counter. 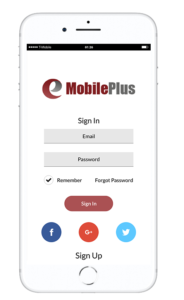 Build mobile ordering apps that enable customers to order to-go or directly to the POS. 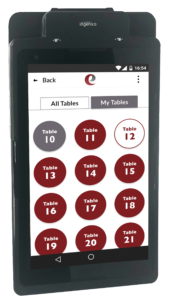 Automate order-taking for table-side servers with digitized menus on mobile devices to reduce ordering time and improve order accuracy. 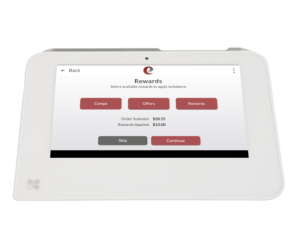 A complete payment platform for POS-integrated ordering and sales for retail operations including loyalty, gift cards options. For tabletop ordering and payment. 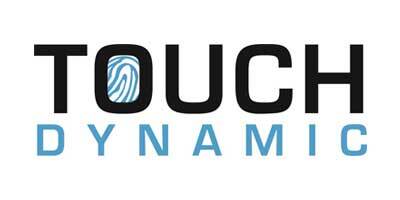 eTouchMenu’s SmartMenu™ software delivers a new level of guest experience and measurable ROI. With specialized solutions for Full Service Fine Dining and Fast Casual Restaurants, eTouchMenu optimizes the efficiency of your floor operation, connecting customers directly to your servers, improving order accuracy, simplifying payment, and increasing table turnovers for a higher ROI. All fully integrated with your POS so orders flow to the kitchen as configured. 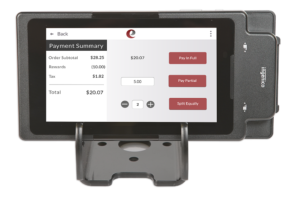 Leverage eTM’s kiosks and mobile solutions for quick services restaurants (QSR) to allow guest ordering that improves order fulfillment, line busting and upsell opportunities. Cater to the layover times and specific needs of travelers by allowing your customers to expedite service, provide re-order options and order fulfillment. eTouchMenu provides flexibility for ultimate customer satisfaction and better execution. Keep casino patrons on the floor longer by providing easily accessible eTouchMenu food and beverage service. With less time tracking down servers and food, they’ll spend more time on the slots and tables. 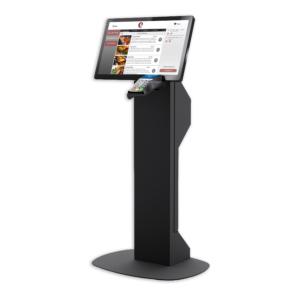 eTM kiosk solution solves the buffet ordering by using guest facing kiosk solution that eliminate long lines while increasing payment options by including loyalty currency, promotions and charge to room options. Family fun doesn’t have to include waiting in long lines for tasty treats. 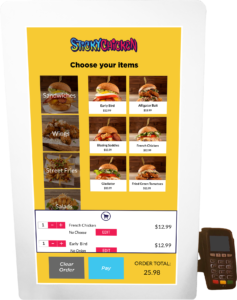 Keep your customers at Amusement Parks, Bowling Alley, Driving Ranges, and Movie Theaters focused on the entertainment you provide by simplifying food and beverage ordering with a customized eTouchMenu service plans and devices that keep everyone connected. Provide your guests with all of the amenities and little extras that make their hotel stay unforgettable. 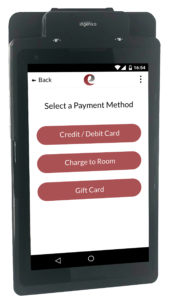 eTouchMenu enhances room-service convenience that translates into guest loyalty while also increasing average room tab. Simplify and streamline stadium hospitality services to attract more sales and please your customers by streamlining suite food and beverage orders and helping season-ticket holders stay in their seats for those big game moments. 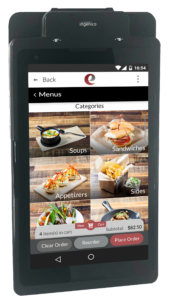 eTouchMenu digital ordering solutions support leading restaurants, fast casual food operations, entertainment venues, and retail operations. 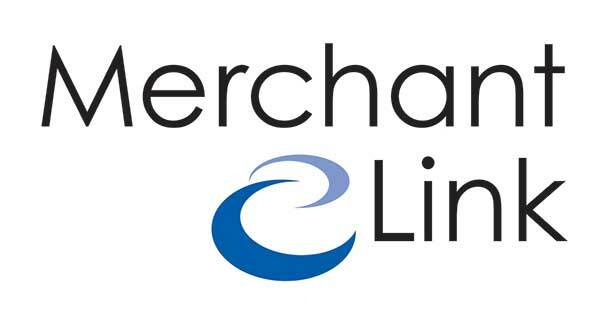 eTouchMenu integrates with the leading POS, payment processing gateways, payment processors, property management systems, gift cards and loyalty solution providers plus equipment agnostic solution giving multiple equipment options for iOS, Android and Windows.